Are you tired of the same old super-hero or princess birthday parties? Are you looking for new and interesting birthday party ideas with engaging activities? Do you prefer to have your child’s birthday party at your own home? Are your guests closer to your location than our venue? Do you prefer to serve your own home-made snacks and cake? You are at the right place! There could be lots of reasons that make you to prefer holding your child’s birthday party at home and ask us to bring the activities to you. Now we are happy to tell you that we can do that: look for the Party Comes2U icon beside party descriptions. Genius Owl birthday parties are planned to offer the best engaging activities to children. We don’t have the razzmatazz of Hollywood but it’s the educational content of our activities that sets us apart. After all this is a party! So we do our best to bring joy and happiness to the birthday star and their guests. Lots of party games are waiting you: some you will recognize, and some we have developed or adapted. We treat each party differently: we listen to you and try to incorporate your special requests, and address your concerns. Personalization at Genius Owl birthday parties goes beyond having your name appear on party banners. 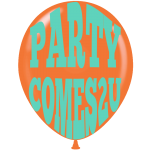 With “Comes2U” parties you only pay a fixed flat rate for your party, no matter how many kids are invited. This is a lot of savings that you can enjoy only at Genius Owl, the home of the affordable parties! It’s always a hassle to take the kids to the birthday party place. Arranging pickups and drop-offs sometimes get overwhelming. Most kids live in the same area, and having a party at home saves you the transportation headaches. With “Party Comes2U” you are in full control of the food. Serve your own snacks; order your own favourite pizza; and bake or bring your own cake. No need to worry about food-allergic kids either! The party was exciting. We got to do multiple activities. The party was special. It was lots of fun! The party was fun. We got to do good activities. The party was exciting! There are games and problems to solve. Amazing! Genius Owl was here! The party was so much fun! The games were fun. Amazing! The games were fun! The party was awesome. Because of the collaboration. The party was fun, because it was creative. Fun! The games were fun to figure them out.